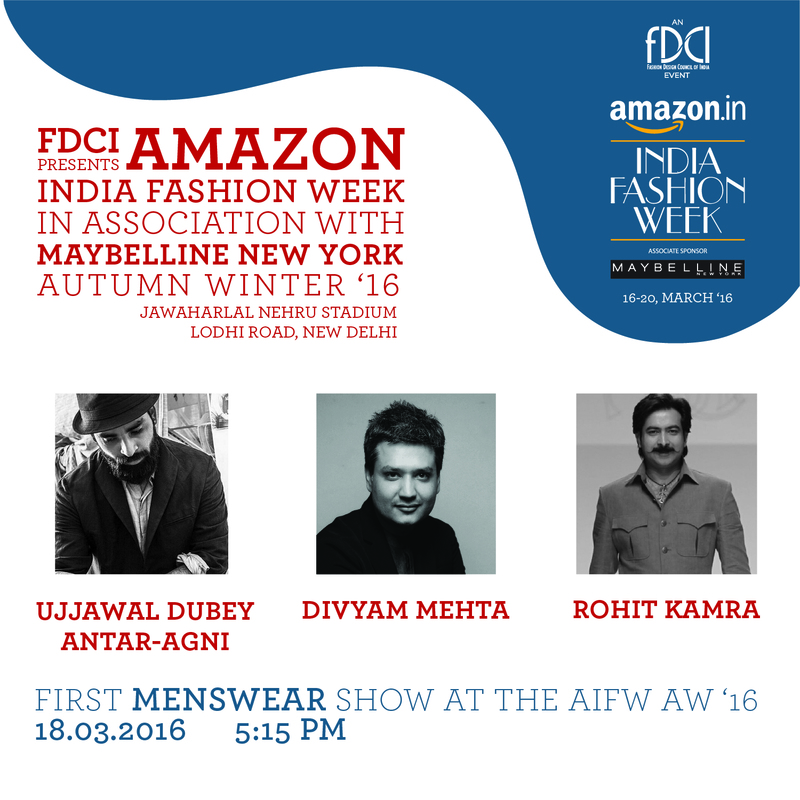 New Delhi - India's authority of fashion FDCI has come up with new initiative to boost menswear designer collection for the first time in India in assosiation with Amazon and co partner Maybeline New York during autum winter fashion week 2016 which is going to kick off from March 16-20 at India's capital New Delhi. Sunil Sethi the president of FDCI spoke, “The three hand-picked designers showcasing a menswear collection at the upcoming Amazon India Fashion Week Autumn-Winter 2016 will add undiluted pizzazz to the event. This is a first for us, as we felt it will give a 3D experience to the viewers. The shortlisted male models will also get an opportunity to debut on the AIFWAW’16ramp through this valuable addition. In fact its not the first time Men's fashion week is taking place but in 2011 FDCI in assosiation with Van Heusen India Mens Week 2011 took place in Delhi September 2-4, 2011 Indian Mens Week (VHIMW) to be held at The Grand. Each designer will interpret themes in his own unique way. Antar Agni’s Autumn-Winter collection titled “The Red in Us”, explores the varied emotions that red exudes. Red is extreme, a stimulator, heavy, intense and a stirrer. The collection aims at the controlled use of oxidised red as an extreme element, paired with fabrics with character, acting as a vent for the persistent human neutral state. “Into the Woods”, a collection by Divyam Mehta, draws inspiration from trees and textures bringing out a feeling of freedom, intensity and blissfulness, harmoniously blending into laboriously executed Shibori patterns. Interestingly, Rohit Kamra’s collection will redefine the royal look by modernizing it through sharply tailored bandhgalas and breeches. “Made in Jaypore” will see a huge Jaypore influence seeping into the ensembles.